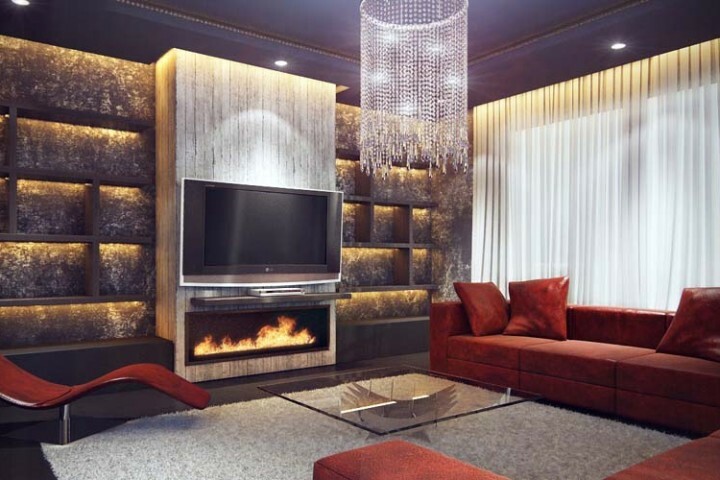 View some of our Interior Design projects below. 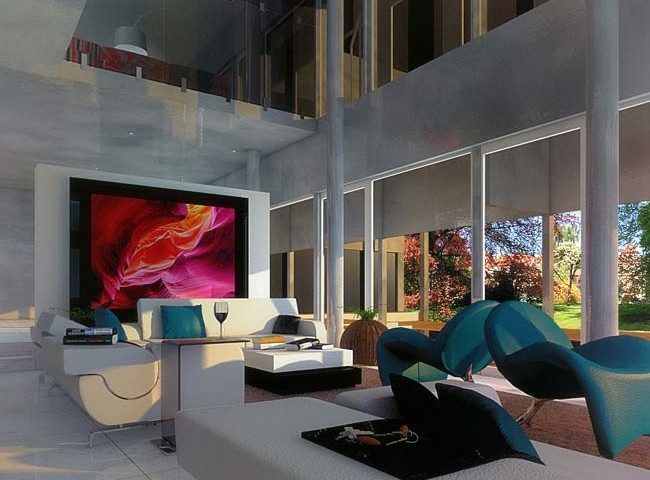 Located on Banana Island, Lagos, Nigeria, the property had great design and decorating potential. A project we welcomed with open arms. The client wanted a home that brought the outdoors in and vice versa. Working with our design team, architect and construction team, we opened up closed walls and replaced them with high floor to ceiling windows in areas that offered the best views, and achieved exactly what the owner wanted. We also ensured access to and from the outdoors would be easy and convenient. We furnished the space with high quality seating from Leolux, so that our client would be comfortable looking out through the window to enjoy the view. Coffee and side tables from Bacher completed the look. We also incorporated Contardi & Boccci lighting all over the house for that smart lighting solution. This large villa has marble bathrooms with cabinets from Idea. En-suite bathrooms and powder rooms have a different-sized vanity and lighted mirror. Bedrooms were designed in full contrast with the living room, featuring Gazzotti wooden flooring and then decked out with wardrobes and beds from Logo and B&B Letti. In keeping with what the client wanted, we moved the kitchen close to the connecting indoor & outdoor pools, and added a dining table and chairs that can withstand moisture and hold up against the elements when brought outside. Because the client wanted to keep much of the walls, floors and ceilings white or in similar shade, choosing and combining furniture pieces of different colours were not a problem. 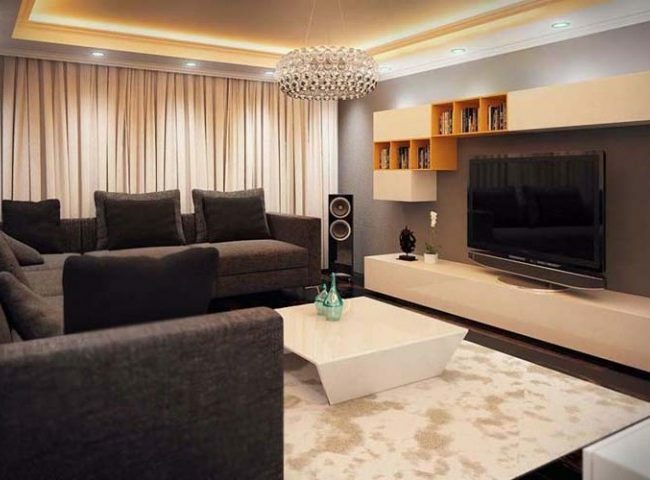 Located in one of the more popular postcodes in Nigeria, this private home in Abuja was very fun yet challenging to transform, given the client’s numerous requests and space limitation. With our team of designers, architects and carpenters, we managed to pull it off and gained another satisfied client. The owner wanted an indoor gym & wellness area added on the ground floor. We successfully added one by placing wall partitions in a quarter of the cavernous living room area, and then installing Gazzotti wooden flooring. With the size of the living area decreased, we then proceeded to transform it into a more intimate and elegant space. We furnished it with seating from Naustro and coffee and side tables from Cattelan Italia. 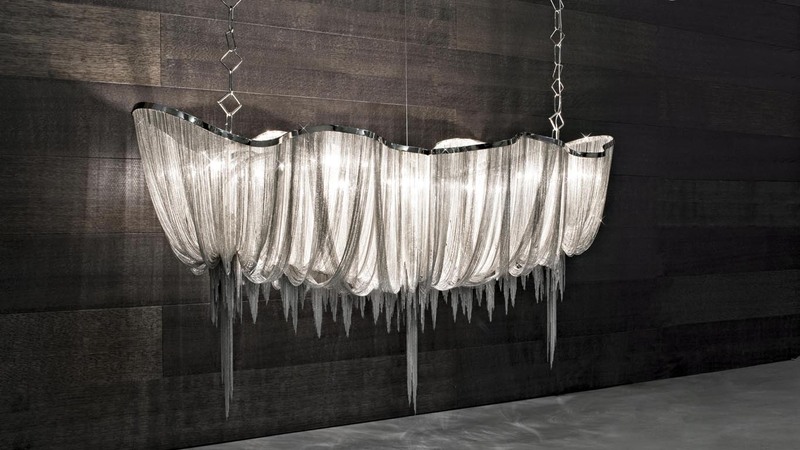 To bring the ceiling down by a few inches, we installed a sophisticated chandelier with Swarovski crystals hanging down. Recessed bulbs and downlights complete the lighting solution. The client also wanted a state-of-the-art cinema, hooked up to the latest electronics and technology. To keep the interior design as clean and minimalistic as possible, speakers were hidden, and the wide-screen TV kept behind a retractable wall panel. Control to the multi-media devices are through the multi-channel digital audio and control feeds. We also added another bathroom on the ground floor, with access from the gym. It is partly covered in marble, while the rest is in mosaic tiles. 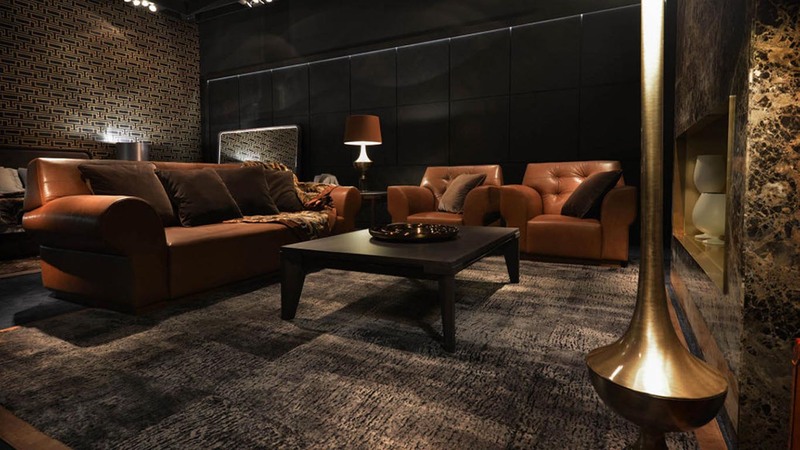 For the choice of furnishings in other areas of the house, the client selected a number of pieces from B&B Letti, Idea, Logo and Cattelan Italia, all of which are known as reputable and highly recommended brands. 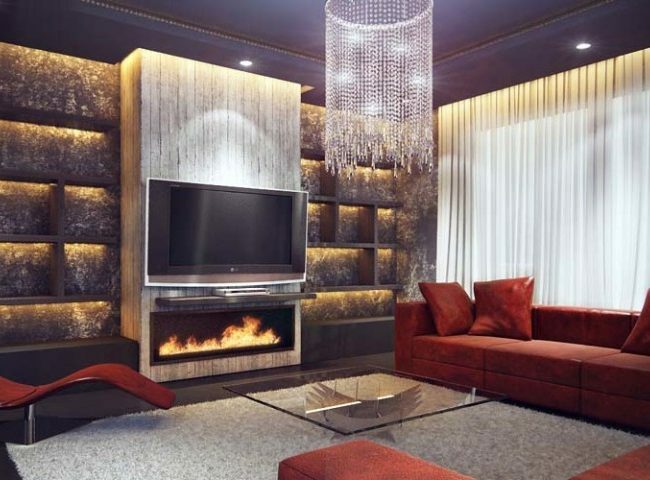 “A basement that has everything” is how the client described this very challenging project in St Johns Wood, London. He wanted it to be a place where the entire family can converge and stay in for as long as possible without the need to go upstairs. Our design team came up with our own description for the project – a home in the basement. This led to the creation of a sub-basement, complete with a games area, small kitchen and dining, and toilet and bath. We started with developing the living and games areas and used them as anchor to everything else. Because the basement was quite cold, even in summer, we first installed underfloor heating, covered it with wooden flooring from Gazzotti, and then placed plush rug on top. An electric fireplace added more warmth. The placement of the TV and other multi-media devices followed next. Considering the space available, we opted to use a one-wall storage area for nearly everything – media center, bookcase, cabinets, and the fireplace. We then hooked up all electronics, including the lighting fixtures to a state-of-the-art lighting& AV control. To give the ceiling height, we installed ceiling-mounted LED bulbs instead of a chandelier. The small kitchen and dining area followed next. 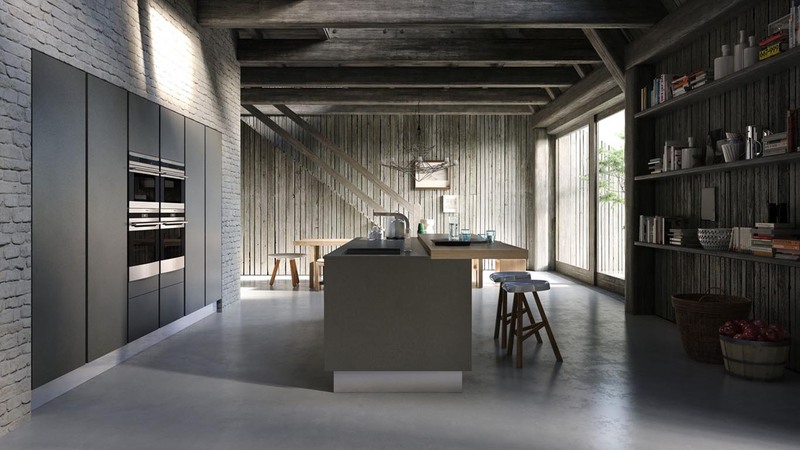 To maximise space, both the kitchen and dining space are found in one place and without partition. The half bath, which is all the space allowed, we built near the basement’s door. The client chose pieces from Naustro, Bonaldo, Presotto, Flos and B&B Letti. 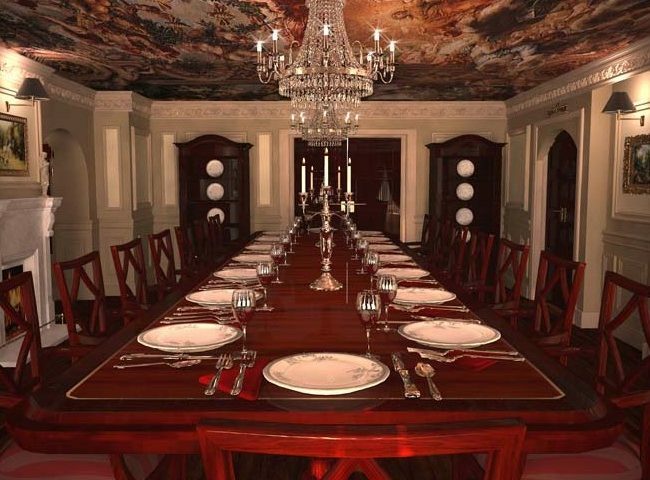 An opulent home only deserves a grand dining area, and this is exactly what we achieved, much to the client’s satisfaction. Because the property follows a classical and traditional design, mostly based on wood, we needed to create an elegant banquet area that covered a huge space. We managed to build a large indoor banquet, decked out with furniture pieces from Giorgetti and The Luxury Collection, two of our most sophisticated brands that never fail to work in a space where class and elegance are in demand. Wooden flooring from Gazzotti set the theme for the new refurbishment project. We custom designed a dining table that can comfortably seat 24 people, and provided dining chairs that closely matched with the table’s design. To keep the walls from looking empty and boring, we custom built joinery and cabinets that have enough storage space, but do not occupy a huge amount of floor space. 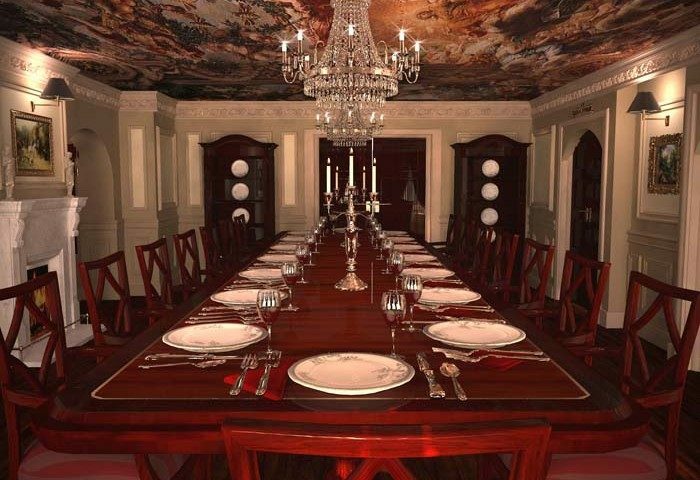 A Swarovski chandelier provided the lighting that made the room even more regal. In support of the chandelier are wall lamps set in strategic areas. We also worked on other areas of the property – bathrooms, bedrooms and the outdoor space. Tiles in the toilet and bath were replaced with marble, and the cabinets with units from Idea. Old beds were also replaced with those from B&B Letti. Working with landscape architects, we rendered outdoor landscaping and added outdoor furniture pieces from Unopiu, one of the few items in our collection that will look great indoors and outdoors. 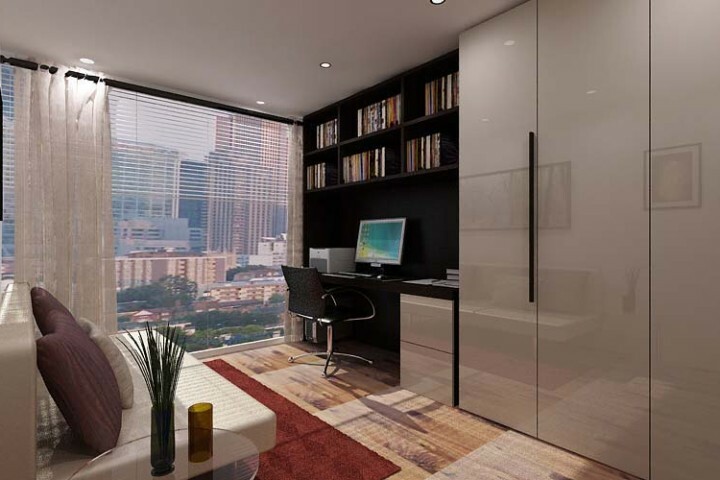 Space planning and addition of a custom designed home office in a luxury corporate apartment in London. Our client required a home office that appeared luxurious yet very professional. The way we see a home office is that it has to have the perfect mix of home comforts without looking like a living room with just a desk and computer in one corner. With a team of clever designers, we came up with a design that met the client’s requirements and preferences, done with expertise and a good eye for style and details. But with just limited room to work with, it was a challenge we were more than willing to take on. 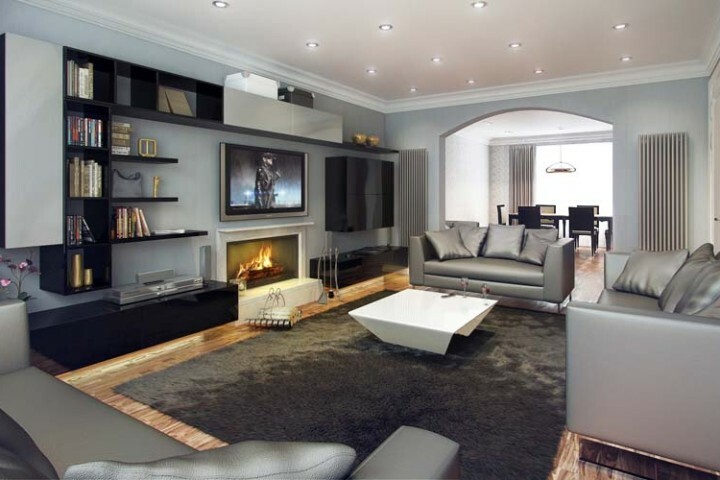 The first and one of the most important items was the complete intelligent home concept that included security. We wanted our client to have optimum privacy without blocking the excellent view of the city. With the use of curtains and retractable blinds, which could be controlled remotely, the interior had access to natural light, which the client could regulate. The furnishings that the client chose were pieces from Naustro, Porada and Logo. This translated to a high quality and professional-looking desk, chair and bookshelf, and a comfortable seating arrangement with coffee and side table. Foscarini lighting of different designs completed the entire package. Recessed lights in the office, and fancy chandeliers that highlighted the GeD kitchen, Gaggenau appliances, Porada dining table and chairs and Gazzotti wooden flooring. We also added lighting and furniture pieces in the bedroom, from Foscarini and B&B Letti, respectively. 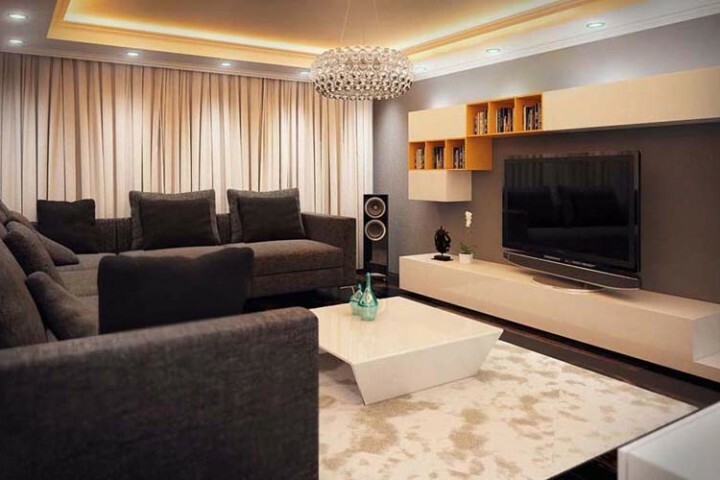 Minimalist and modern with just a touch of the classics is what the family home in Victoria Islands, Lagos, Nigeria was all about. The refurbishment project turned out to be huge and challenging, given the amount of improvements and renovations that needed to be done. But with an army of designers and workers, we successfully completed the project and made another client happy. One of the areas that needed the most work was the living room. The client wanted it to be the media room at the same time, requiring custom designed interior and the right furniture pieces. The first thing we did was add the electrical wiring needed to power up all electronics and set it up on one side of the room. This way, all media devices were placed in one area, while the furniture pieces were spread out in other parts of the room. So right across the state-of-the-art home theatre was the seating and coffee and side tables from Naustro and Aria. Before any of the furnishings were set up, we laid down the Gazzotti wooden flooring and then placed a layer of plush carpet on top. Once the living room and entertainment centre was completed, we then moved on to work on the kitchen, bathroom and bedroom. The clients chose pieces from some of the best brands – Logo wardrobes, GeD kitchen, Gaggenau appliances, Idea bathroom cabinets and B&B Letti beds. Our last mission was to create a complete intelligent home concept with remote controlled security, curtains, lighting and blinds. Working with clients across the UK, UAE & Nigeria, fci London injects three decades of combined expertise into every project we undertake. Our team is comprised of the most experienced designers, architects & surveyors allowing us to work on new builds, renovations and refits to exceptional standards. We are able to manage residential & commercial construction projects from concept to completion or slot into an existing team in whatever capacity is required.